Welcome to Camping Spiaggia D'Oro Torri del Benaco. 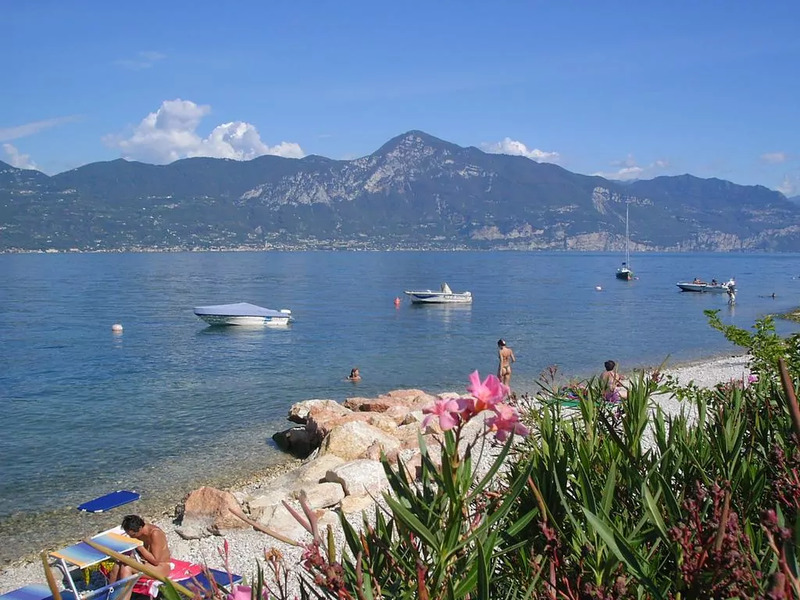 The Camping Spiaggia D'Oro is situated at few metres from the lake and is characterized with a level ground along the coastal and a part is instead terraced ground where a marvellous lake view is seen from here. The position is quiet and the familiar dimensions are the ideal to live in contact with the nature. It has 70 emplacements immersed in the green of the centuries old olives trees. The accommodation is equipped with market, bar with terrace, Tv Sat, washing machine, private landing stage and disabled facilities. At customers disposal: maxicaravans with 2 bedrooms, bathroom with shower and in the veranda a dining-room furnished with dishes and fridge. Mountain bikes excursions and walks are organized on the place. Other comforts in the environs are restaurants, pizzerias, and the Trattoria Ago e Rita. To visit: only at 3 kilometres far, there is Torri del Benaco with the Castle Scaligero and its little roads and the characteristic shops. For more information on camping and mobile home prices, visit the website or contact us at n. 3478936648. (Camping Spiaggia D'Oro Torri del Benaco campings).